One of the areas of our body that is harmed the most after the excesses, surely that is abdominal. The exercise with kettlebells focused on the abdominals that will help you keep that problem area. So we’re going to show you the best exercises for abs with kettlebell. The swing is an exercise that makes the muscles of the legs, abs, gluteus and lumbar work as a whole. In addition, when doing swing with one hand you will need the strength to maintain control and stability of the trunk, an action that results in greater activation of the abdominals. 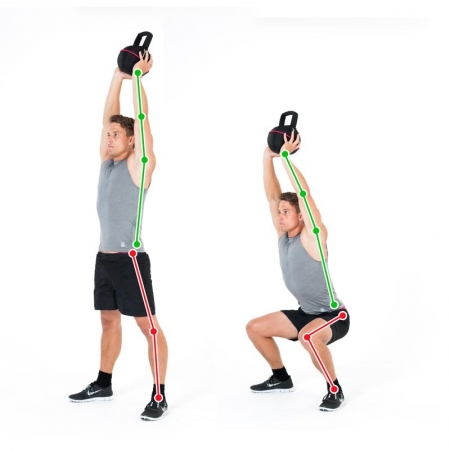 Take a kettlebell with one of your hands and place it hanging between your legs. 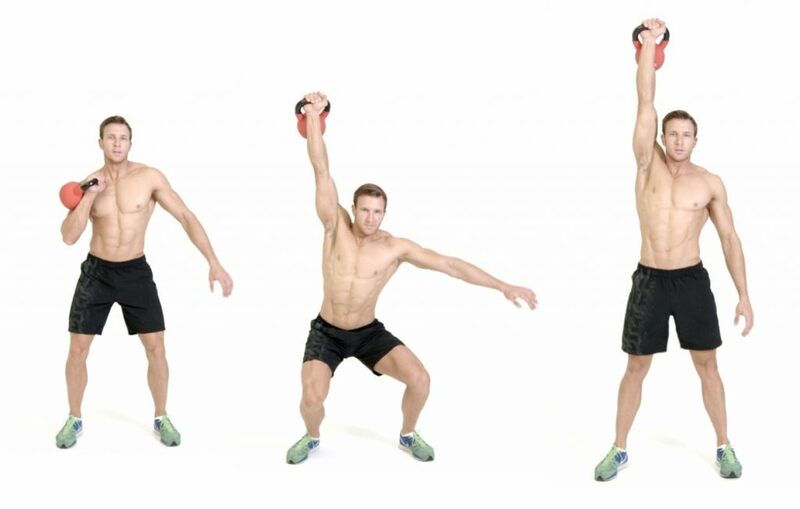 Make a rolling motion with the kettlebell, until it rises to chest height. Help yourself to the arm that is left free to maintain balance and stabilize the trunk. This exercise is the natural progression of the swing. It is about adding a phase in the final movement of the previous exercise. With this movement, in addition to working on the muscles mentioned above, the muscles of the lower back will be activated and worked on. Take the swing above the head. Make the swing of the kettlebell keeping the arm straight at all times and the elbow fixed. Lift the weight over the head with the arm stretched. It is an exercise with which you will strengthen the muscles of the arms and legs, in addition to working the abdominal in an intense way. Place a kettlebell held in one hand and resting on the chest. Once in the final position of the squat, perform a shoulder press. Try that the movement is ballistic, that is to say that the squat and the press are made gradually. It is an exercise that to fulfil it you need to perfectly master the swing and the push press. since it is an exercise composed of those two movements. Start with the kettlebell held by one hand between the legs. Make a swing to raise the weight toward the shoulder. Stretch your free arm to the side to keep your balance and help you maintain body position. Raise the kettlebell over your head, stretching your arm with a sharp blow. Squeeze the abdomen to perform a squat and press to work your body in a functional way with this exercise. Hold a kettlebell with one arm in front of the face, at shoulder height. On the climb, go by making a press with the arm that holds the Russian weight. Finish the movement standing erect and the hand stretched above the head. 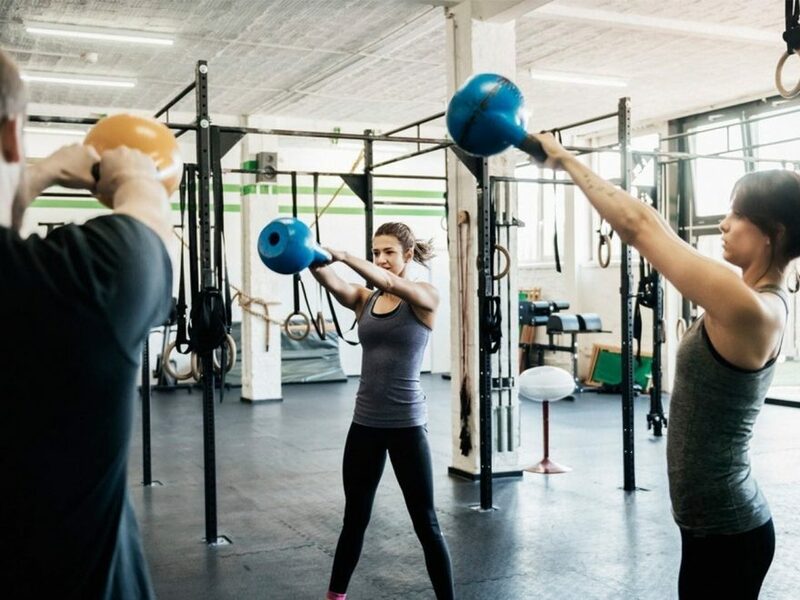 It may be one of the exercises whose execution is more difficult to do correctly, since it requires a large range of movement and postural control. With this exercise, you will strengthen the whole core in a functional way at the same time that you work your legs. Hold a kettlebell over your head. Hold with your arm stretched and controlling the back so you do not go too far forward. Make a squat with the weight over your head. With this exercise, With this exercise you will strengthen the hamstrings, obliques and lower back mainly. 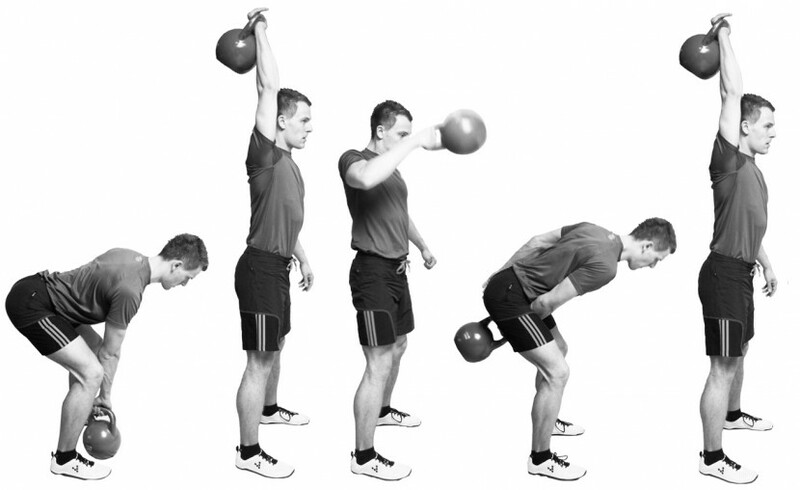 Hold a kettlebell with one hand above the head. The legs stretched and the width of the shoulders. The hand that you have free, place it in the front part of the leg. Try touching the heel down with your hand, while you flex the trunk laterally.